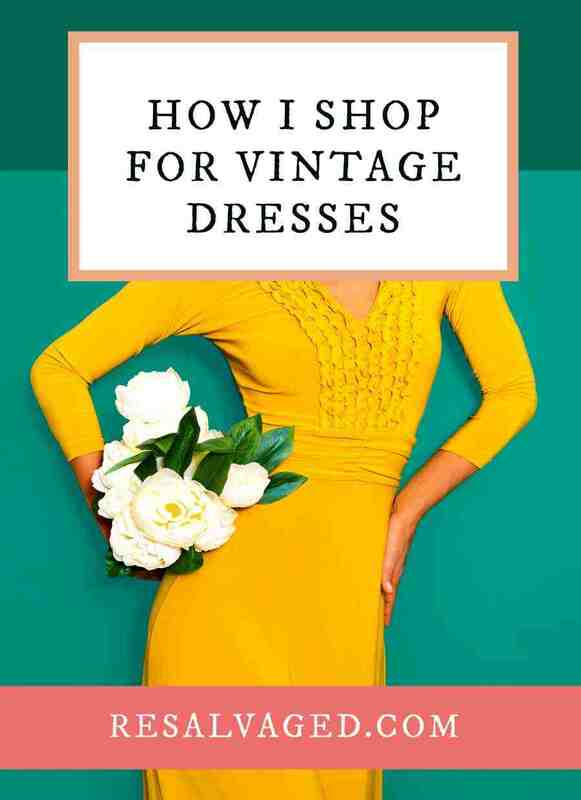 I love vintage clothing – and especially love wearing vintage dresses and coats, so wanted to share some tips and resources for where you can buy vintage clothing – no matter where you might be located! It can be hard to find vintage clothing sometimes, especially in the condition you want and at a price you can afford, but it’s actually a LOT easier than you might think! Today I’ll share some tips to help you find exactly what you are looking for! Believe it or not, your parents, and your parents’ friends, and your neighbor, and your neighbor’s parents/sister/friend probably have a closet full of vintage clothes that no one wears. Right now, I know I can find a wide assortment of vintage sweaters in my mother’s bedroom closet, most of which are not worn very often, if worn at all! She also likely has droves of vintage clothes from my brothers and Dad as well! So, don’t be shy. Don’t feel awkward. Ask your friends and family members if they might have any old clothes they would want to part with. You don’t have to be picky, because anything you don’t want to use can always be used as fabric for a number of sewing projects or donated to charities which accept clothing donations. Don’t forget to ask your friends and family to also ask their friends and other family members! This is the simplest and easiest way, but of course there are other methods that work a little better, especially if you are looking for something specific. You don’t always have much control over what is sitting around in someone’s old closet! The thrift store is an obvious place to look for vintage clothing. I love shopping at thrift stores, and while it’s not quite as easy as it used to be to get cheap vintage clothing there – it is still absolutely possible you’ll find something with a trained eye and some practice! When you are shopping the thrift stores for vintage clothing, the important thing is to know your vintage clothing brands and styles. For example, if you’re browsing through the sea of thousands of shirts, you might pass up on a great vintage find if you’re not aware of brand names, clothing styles, colors, and patterns. The opposite can also happen if you are not familiar with vintage clothing brands – you might buy something you think is genuine vintage only to come home and discover it is not vintage at all. It’s pretty disappointing to realize something you find is not actually vintage, but rather something that looks like vintage. If you plan on wearing the clothes yourself, that’s not such a big issue – if you like something you should definitely wear it! But if you were hoping to find something genuine vintage to resell or gain bragging rights over, you’ll be sorely disappointed if you don’t know your brands, styles, and other methods to identify vintage clothing. Another good source for finding vintage clothing and vintage dresses are church rummage sales. Church rummage sales are a million times better than a thrift store, for three reasons. First, rummage sales are typically short events – and only run for 1-2 days at most. This means you’ll have a HUGE selection of clothing that needs to move fast. People tend to come to these events with only a couple of hours to look through everything, and so it’s easy for a lot of vintage clothing to be skipped over and missed. Second, people usually only shop these as primarily window shoppers. They don’t have a specific need. Mostly they come in and buy everything sporadically. Third, prices as the sale comes near to the end are insanely cheap. Most of these sales will hold a “bag sale” at the end of the day or the second day of the event – this is your chance to load up with bag fulls of any potential vintage clothes everyone else skipped over for $5 or less! Online estate auctions are a lot different than eBay auctions. An online estate auction is when an estate liquidation company lists the entire contents of a business or person for sale. Estate auctions are nice because typically items are sold in bulk. You might get an entire dresser full of vintage clothes – and the dresser as well – for only $30! The downfall with online estate auctions? You have to be able to pick up the items at the specific time listed on the event, and you have to be able to do it all on your own and within the small time frame available. So, if you can’t lift an entire dresser yourself, or have a truck to haul it home, online estate auctions are probably not the best choice for you, unless you are able to preview the items firsthand to make sure it is something you are able to physically pick up. We are fortunate enough to own a box truck and a hauling and junk removal company, so for us it’s not problem – but I’ve seen a lot of people struggle with this as they attempt to load up one too many things they bid on and didn’t expect to win! Consignment shops are getting harder and harder to find these days where I live, but they do still exist. Doing a google maps search for consignment shops near you is probably the best way to find one which is within a reasonable distance for you to travel to. Consignment shops source their clothing from many different people and vendors, so you can usually find a nice variety. Consignment store owners also typically REALLY know the fashion market and are able to identify true vintage items. The downfall to consignment shops? Since the owners know their items are valuable, you will likely pay a price that is pretty close to market value for the vintage item. This is of course absolutely fine if you are buying vintage clothes to wear yourself! If you are looking to resell items you buy however, you will likely not be able to have much room to markup for profit. eBay is still the go-to source for online auctions for almost anything vintage, you’re sure to find something here – especially if you are looking for a specific brand or style or time period. 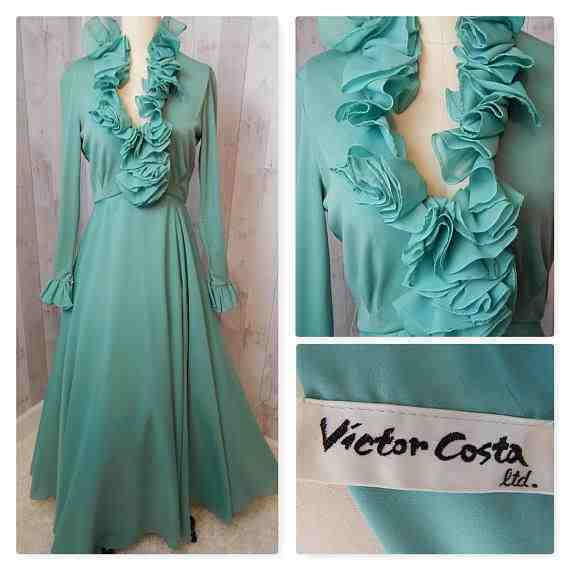 Etsy also has a nice selection of vintage clothing and dresses. This is another great resource to try if you are trying to find something specific. There are a lot of different styles and brands – so you are sure to find something vintage you love! Craigslist can also be a great source for vintage clothing. The trick here for shopping on Craigslist is to place a “Wanted to Buy” ad. I did this several months ago and had 5 people contact me, essentially giving me more clothes than I knew what to do with! Many of the clothes were name brand and in great condition. You can also search through the listings for items for sale. This is more time consuming, but certainly can help you find something specific you are looking for. Buying Vintage Clothing Doesn’t Have to Be Hard! It doesn’t have to be hard to find great vintage clothing finds. Hopefully this post of 8 great places for where to buy vintage clothing and buying vintage dresses will help you find exactly what you might be looking for! Do you have any tips or resources for where you like to shop for authentic vintage clothes? Have any experiences with buying vintage you’d like to share? We’d love to hear your thoughts in the comments section below!